I found this post in my drafts from the week before Sam was born. I never did get around to publishing it! 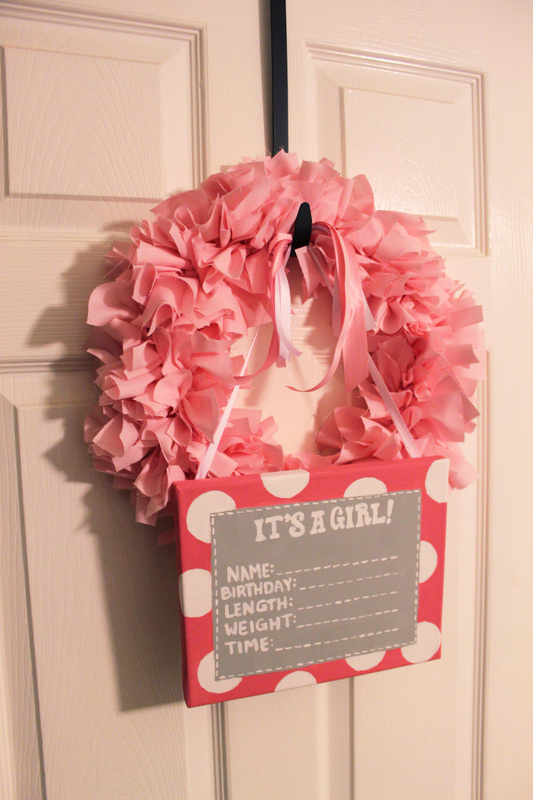 Our good friends were due 5 days before me and I made a fabric rag wreath and canvas sign for her hospital door. She had a scheduled c-section on Monday and I went into labor Tuesday at midnight! Our kiddos are 2 days apart, so we were in the hospital at the same time! While we were waiting for things to kick up for me, I was allowed to walk upstairs and meet their sweet girl. (I was SO nervous holding her and thought, how on earth am I going to be ready once this little guy comes out!) After I had Sam, they came down with their daughter to visit us. So much fun! 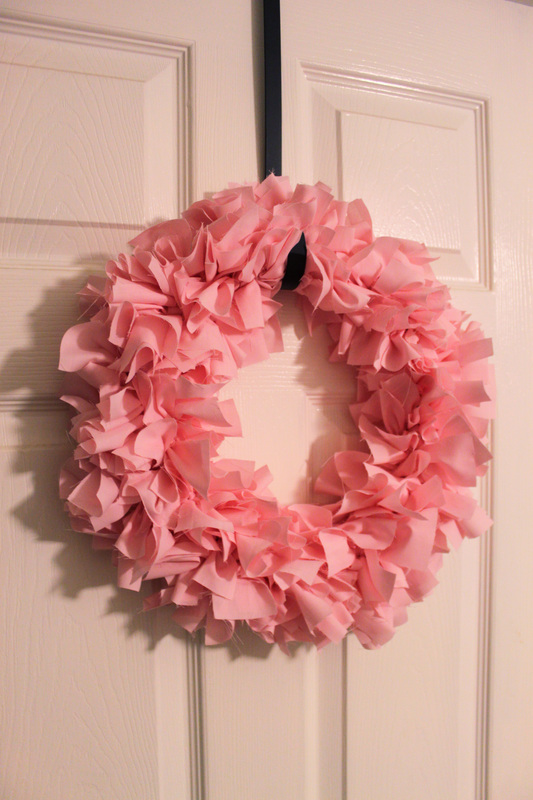 Anyhow….here’s her sign and wreath. 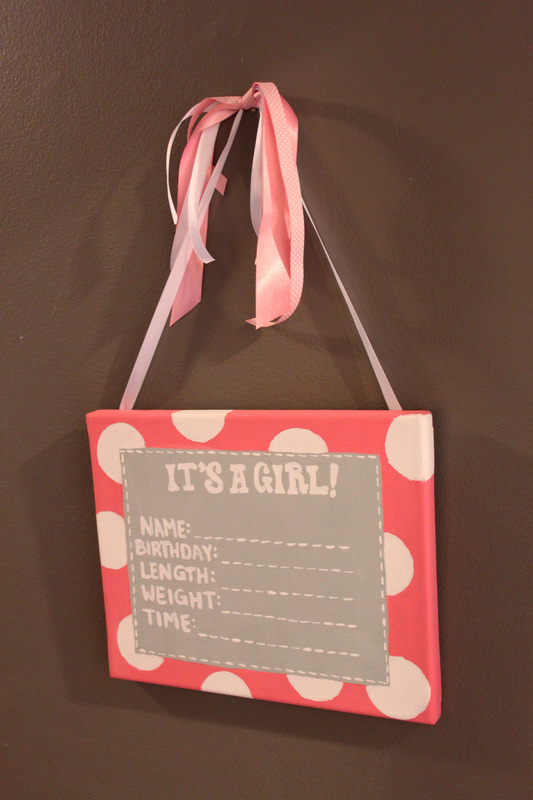 It was fun to do something pink and girly amongst all the boy stuff! I actually received a painted canvas myself from a sweet friend and thought it was such a fun idea I wanted to make one too! 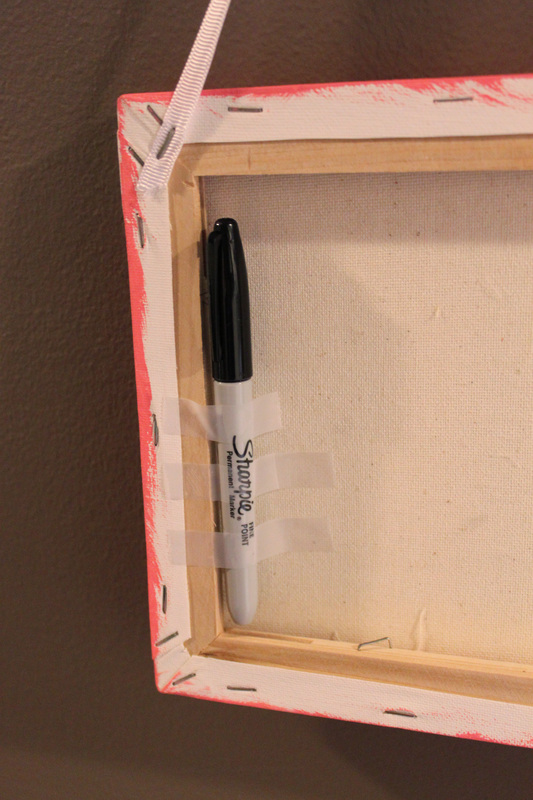 I got the canvas at Walmart and painted it with acrylic paint. I sort of laid out my design on the computer first to use as a guide.